School of Rock Ballwin’s music teachers are experienced musicians devoted to helping students attain musical proficiency. From singing to drums to guitar, our Ballwin music instructors inspire and teach students to perform live. 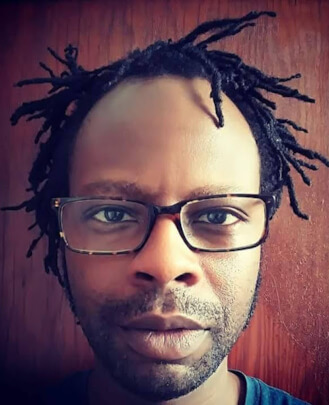 As a performer, Chan Maurice Evans is best known around town as a guitarist, though he's also played live on bass and drums. Now 44, Evans has logged time as a member of original acts dating back to the '90s — 32-20, Geishamen, Fragile Porcelain Mice, LP Outsiders, Republic of Sound, Railers of Kiev, Ghost In Light, A Light Sleeper, Dibiase, The Tennis Lesson, CaveofswordS and most recently as a front-man/guitarist of YOUPEOPL and rhythm/lead guitarist of Hella Snaps, an 80s, 90s and current hits tribute band. He is a guitar, bass guitar and drum teacher at School of Rock Ballwin. 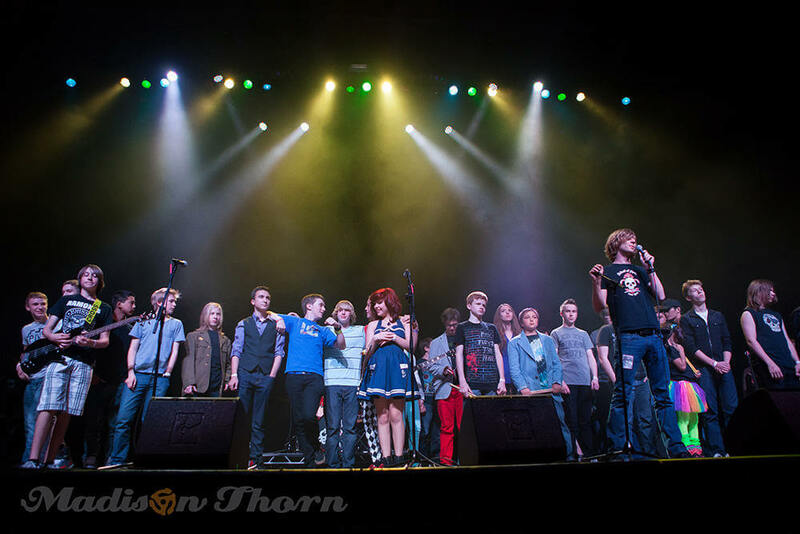 The expressive power of the voice and sharing that with others is the driving force behind Andrea Lair’s teaching philosophy at School of Rock Ballwin as a vocal instructor. 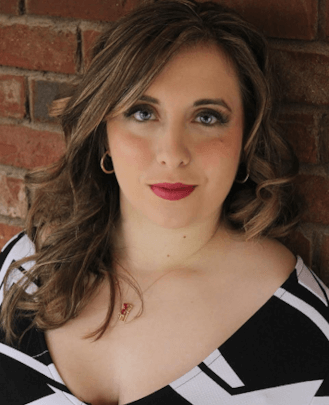 She is a recent graduate of the University of Missouri, St. Louis where she experienced classical training and stage performance experience before receiving her bachelors in Vocal Music Education. She has taught elementary music in the Hazelwood School District and currently co-conducts the Masterworks Children's Chorus in Belleville. Alongside teaching, she is a professional concert vocalist and stands as principal to the Masterworks Chorale and Cantor at Salem United Methodist Church in Ladue. It is Andrea’s goal to engage every student in the joys of singing while practicing healthy technique, all in the effort to put forth truly memorable and empowering performances. Daniel Bradbury began playing the guitar on his 15th birthday and hasn't looked back since. Since then he has performed and toured with a wide variety of bands in the St. Louis area and he’s become experienced in a multitude of musical genres. Dan loves teaching at School of Rock Ballwin because guitar is a wonderful way to invite adventure, friendship and excitement into people's lives. Dan knows this because it has brought them into his own life. He enjoys the challenges of the Music Director position, and the opportunities for adventure it provides. 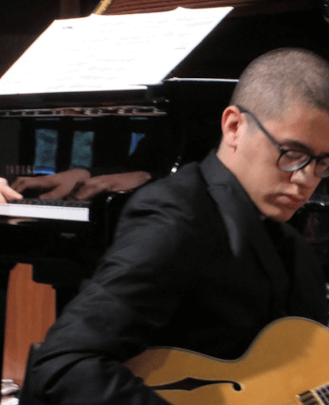 For Isaac Martel, being a musician is about listening and crafting meaningful experiences. 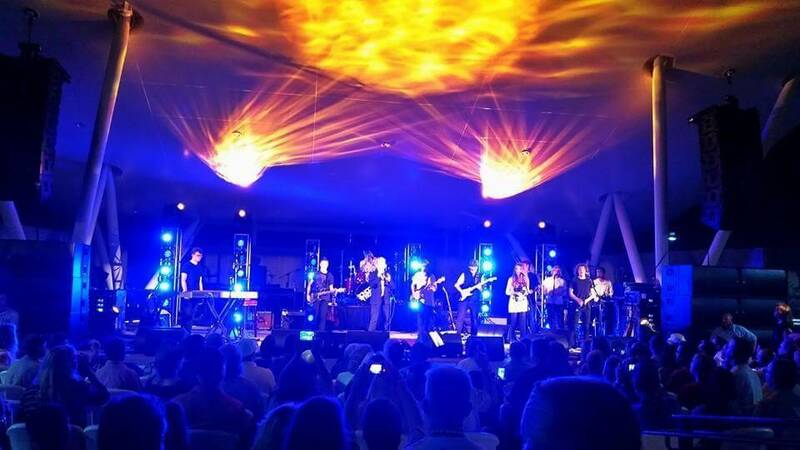 After all, music is an experience and should be enjoyed as such. 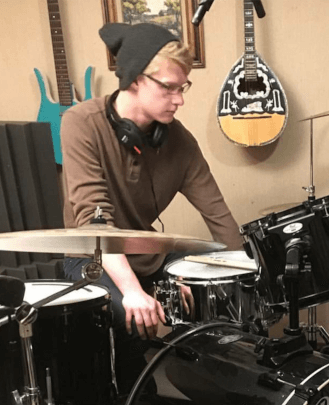 One of his goals as a drum set teacher at School of Rock Ballwin is to challenge his students to make those experiences for themselves and to discover what inspires them to play music. 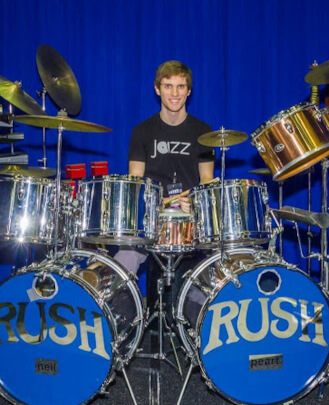 He has been living in St. Louis for his entire life and has been playing drum set and many other percussion instruments since the age of nine. He has loads of experience playing in many different genres such as jazz, funk, pop, hard rock/metal, world percussion and rock n’ roll. Isaac has been blessed that drumming has taken him many places, including New York, Indiana, Kentucky, Illinois and many venues all over St. Louis. He currently attends Webster University, where he will graduate relatively soon with his bachelor's degree in Instrumental Music Education. With his degree, Isaac plans on having a career as a band/music teacher. When he is not in school he plays with his alternative rock band, Crystal Lady, and plays video games with friends. When Michaela David was four years old her parents enrolled her in classical piano lessons. From that blossomed her love for music. Growing up near Chicago, she was able to experience, and participate in, different types of music. As a teen, Michaela realized her true love of music was for voice and piano and she began studying them more in-depth. After moving to southeast Missouri, she attended Southeast Missouri State University, where she studied Vocal Music Education while continuing to study piano. While attending school Michaela also studied classical techniques of voice and piano and gained stage experience. When she works with students, she works on developing a healthy technique, ear training, the ability to read music, pedagogy and self-confidence. 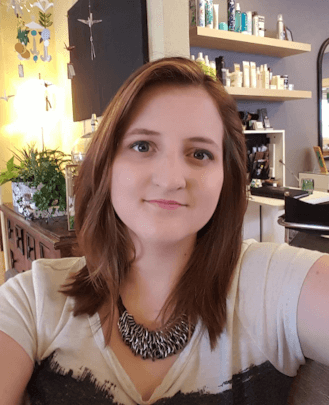 She works with a wide range of students with different interests and ages to help them reach their dreams and full potential at School of Rock Ballwin as a vocal instructor and piano teacher. Hailing from Tucson, Arizona, Sam Golden has played violin from age four, piano from age six and guitar from age 11. Since graduating from Arizona State University in 2011 with a degree in Music Composition, Sam has taught music to students ages four to 65 in individual, small group and classroom settings, while writing, recording and touring the country with his own musical projects. 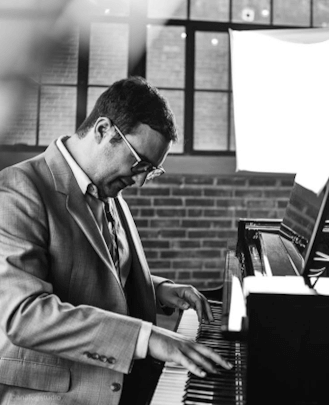 Currently, Sam plays frequently with several St. Louis-based rock, jazz and country bands, and he continues to write and arrange music on a freelance basis. In his free time, Sam enjoys reading, hiking and floating through the great outdoors. He teaches guitar, bass guitar, piano and drums at School of Rock Ballwin. Nick Ayala is a Music Education major at the University of Missouri, St. Louis. He studies classical and jazz guitar. He also plays bass, piano, euphonium and trombone. He has been playing music since he was 10, and he was part of a jazz band and marching band in high school that were considered the best in Missouri. Nick currently plays in a jazz combo called The Civilians and a rock group called Everybodies. He also takes part in his university's jazz ensemble, jazz combo, wind ensemble and pep band. His passion is definitely teaching music, and being able to teach guitar, bass guitar and piano at School of Rock Ballwin gives him great pride. His daily life is all about music and he wants to give his extra time to helping other people get to the point where they are proficient in music. Ballwin for three and a half years and is a drum teacher. She has become not only a better teacher since learning School of Rock's teaching techniques, but also a better musician. She has learned as much from her students as they've learned from her. From teaching private lessons to teaching group lessons, there's always something Shelly says she can learn from her students and she truly enjoys seeing all the students grow into the musicians she knows they're capable of being. 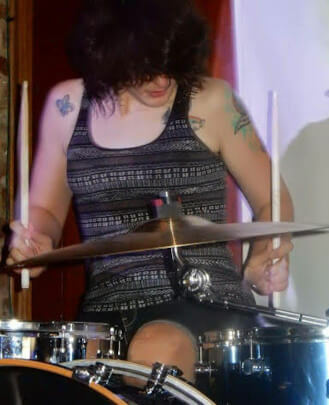 Originally from Chicago, Mary Spadaro spent her childhood surrounded by a very musical family, obsessed with The Beatles and attending as many punk shows as possible as a teenager. 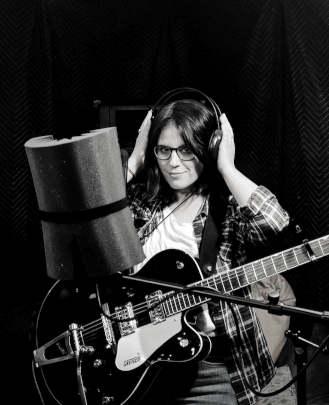 She began writing and performing her own music in her early twenties, touring with different local Chicago bands and performing solo in the area. Looking for a change, Mary left Chicago in 2015 and moved to Saint Louis, where she discovered the world of teaching and office management. 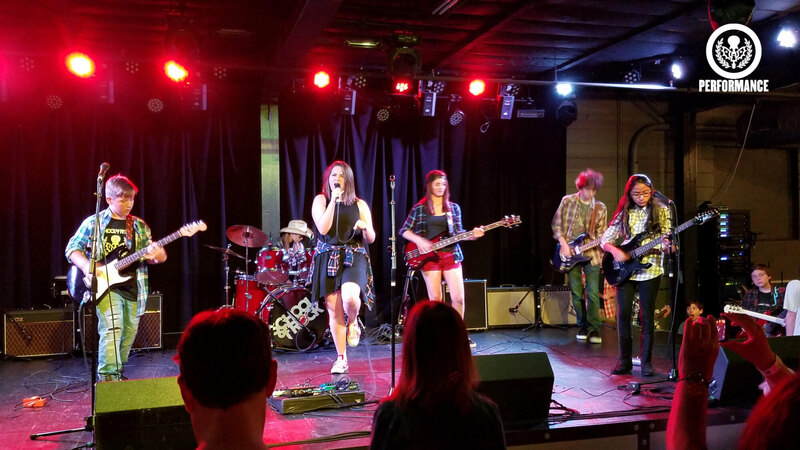 After two years of gaining experience in another performance-based school, she landed at School of Rock Ballwin in 2017 and couldn’t feel more at home. This job allows Mary to bring together two of her favorite things… music and working with kids. Getting to be a part of the machine that brings musical knowledge to kids while inspiring them to play is the best gig Mary has ever had. 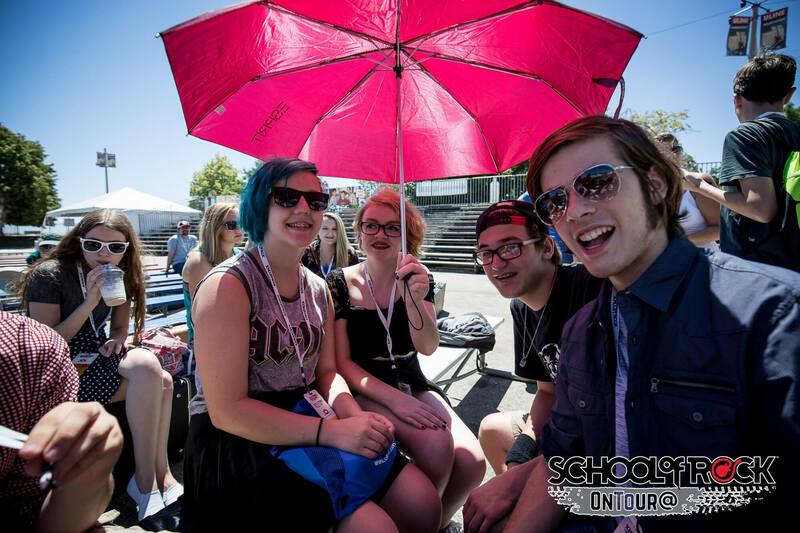 School of Rock does some really amazing things and she couldn’t be more excited to be a part of it all. David Michelson’s goal is to equip his drum students at School of Rock Ballwin with the tools they need to be able to play confidently and explore expressively in the styles of music that they are most passionate about. 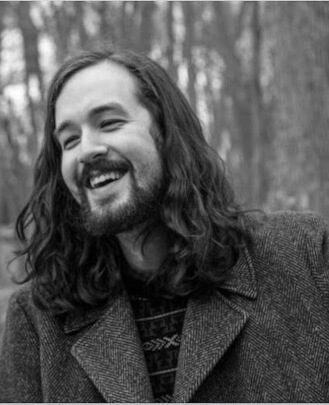 He moved to St. Louis in 2015 to study Jazz Drumming and Audio Production at Webster University, and has since been teaching and playing drums and percussion throughout the region in jazz, rock, blues, spiritual and choral groups. He also has experience with drum corps and orchestral percussion, and is happy to guide students in either of those directions as well. He teaches students of all ages and experience levels. Whether you are looking to develop advanced concepts and techniques or to sit behind a drum set for the first time, David believes you’ll find that playing drums really is as fun as it looks.